Date: 24 December 2013. Running Aground. There are two types of boaters who have never been aground. Most common are those who never go anyplace. As for the rest, they are atrocious liars. The last time I was aground was back in 2012 and I anticipate being aground again. For me it's about a once a year event that I touch bottom though thankfully never in such a condition that I've had to be hauled off by TowBoatUS. Knock teak! It helps that I'm a poky little trawler so that even bumping the bottom doesn't cause much of an issue. You can get in a whole lot less trouble at five knots than at ten, or more. Plus there's so much to see and enjoy even in those long stretches of nothing, well, I enjoy puttering along nice and slow. Have I mentioned the fuel economy is better too? Running aground is not just for novices. I've got 15,000 miles at the helm and still manage to check the depth with my keel on occasion -- usually when I'm not thinking clearly. Back in early 2012 I tested the bottom when traversing the southern shore of St. Andrews Sound heading east. Yep, there was a bit less than three feet of water. Oops! The knots are my memory boosters -- I know from a glance which side the red markers belong on. That's particularly useful for those early morning take-offs, when the coffee is just starting to percolate through my veins. The red Turks Head knot is on the left side of the throttle control which reminds me I need to keep my red markers to the port side. The blue (eventually Green) is on the wheel. That's tells me to open the thru hull for my engine prior to starting her. The cleat also has a bungee cord around it and the wheel. That was one of those Good Ideas in Theory that wasn't so great in practice! You see, most boats that can track only require a bit of help in order to stay on course. Unfortunately Seaweed doesn't have that ability and requires constant steering. The cleat is not totally useless, but pretty close to! Anyway, if your boat holds her course a way of securing the wheel can allow hands off steering. I hope it works better for you than it did for me. I want to live in Theory. Everything works there! 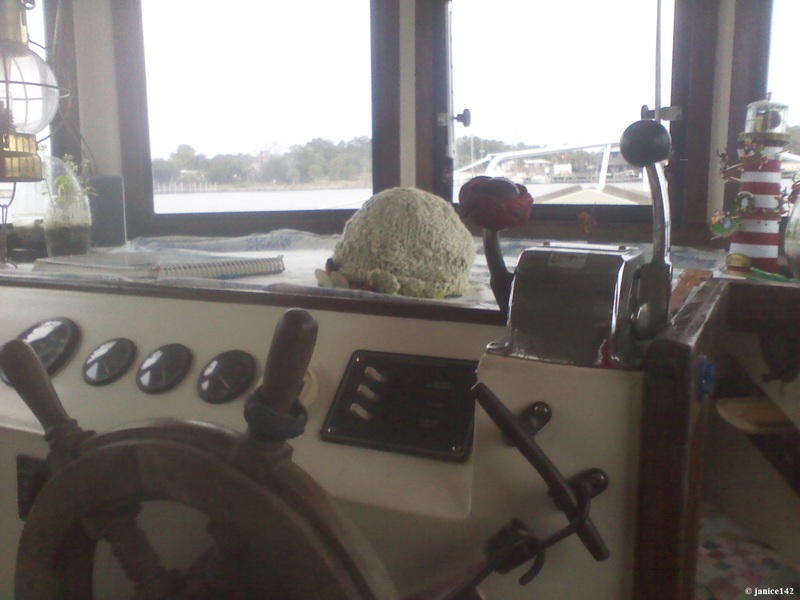 I was heading east toward a nice little anchorage doing just fine cutting the corner as Seaweed only draws three feet. For some reason didn't take into consideration a full moon with the associated extra low tide. Then just to make things a little less perfect, I forgot that heading into the bayou meant the marker colors would again swap sides. 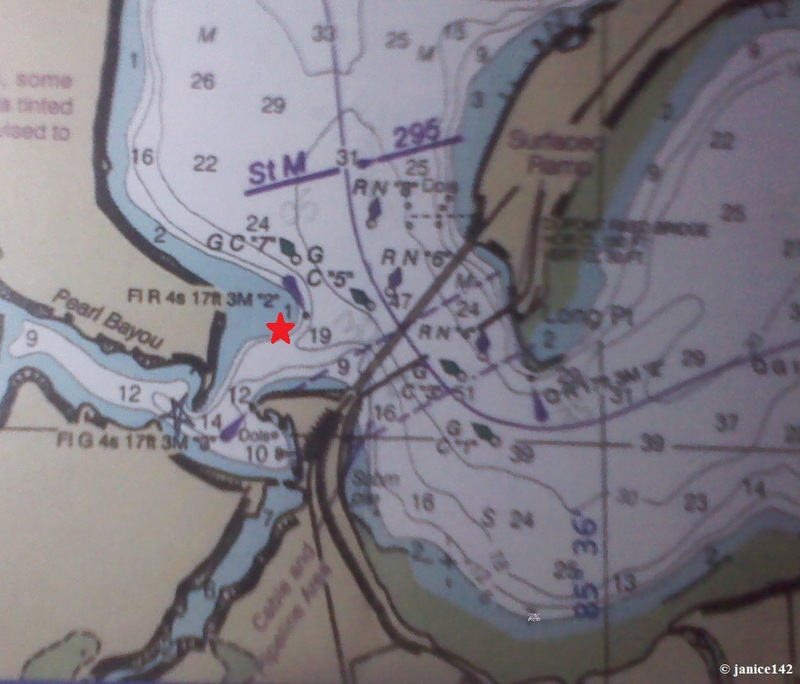 Oh, I was doing fine (not bad at least, and certainly not aground) until I spotted that Red #2 marker and tucked inside it. Much to my consternation Seaweed ended up in that 1' area you can clearly see if you look at the stinking chart -- unlike me until I went bump, thump, and then nothing. Sigh. Fortunately the tide was incoming (why does a rising tide take so much longer than a falling one?!) so I could sit there and pretend I'd meant to do this. There were of course a lot of keel marks in the sand so at least I had the comfort of knowing I wasn't the only woman who thinks her aft end is smaller than it actually is! When the tide came up about an hour later Seaweed floated off and we tucked into the bayou for a time. I prefer nooks and crannies as the fetch is less and that means I can relax and enjoy the scenery more. Plus it's fun to explore with Skipper in Algae my dinghy along the shoreline. 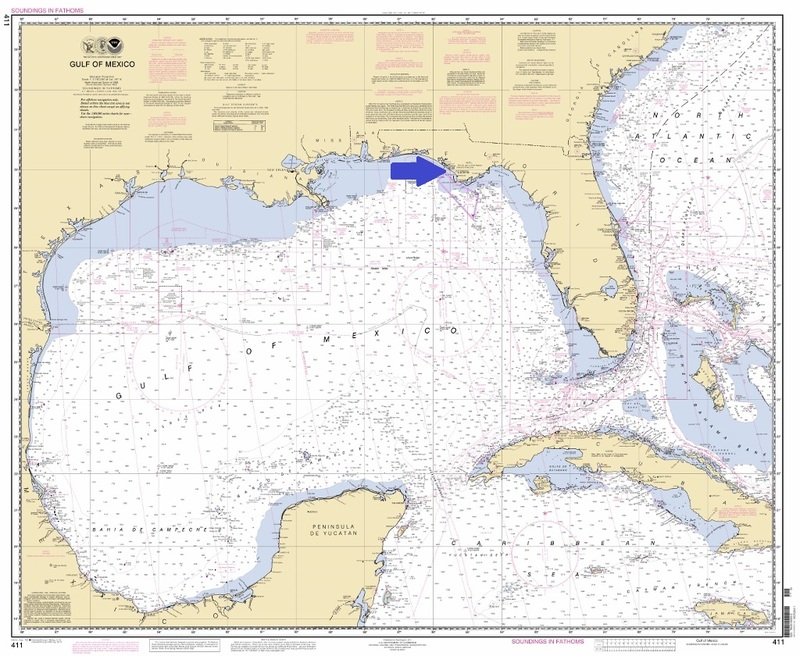 Today's Lesson is a simple one: ALWAYS look at your chart and remember to pay particular attention near inlets. I didn't and fortunately it only cost me a bit of embarrassment. A boat going faster or with an unprotected propeller could have had a serious problem. Be safe, and happy cruising. I'd love to hear from others who stray from the marked channel. A favorite aphorism: Learn from yesterday, live for today, hope for tomorrow. The important thing is to not stop questioning. Albert Einstein.